Places of Interest: Let us introduce you to the Island and tell you all about it! Rhodes Island, the largest of the Dodecanese, lies 24 km south of Symi, and just 17km from Turkey where boats cross each day. 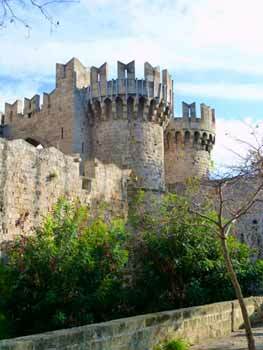 Rhodes Town - there is so much to see and do! Located in the north of the island. Two cities side by side in complete contrast. The lively modern part of the city lies behind Mandraki harbour which was once the site of the third century BC Colossus of Rhodes, a 27metre high bronze statue of Helios, the sun god and one of the Seven Wonders of the World! It fell during an earth quake but lay on the ground for several centuries before being melted down by pirates. Mandraki is now a marina, its water front is backed by modern Italian buildings. From Mandraki you can sail to near by Turkey, Symi and Lindos. The Old City is better known as the medieval quarter as it is enclosed within a fine 15th Century defensive wall and is a world to itself. Here you can get lost along the pebble alleyways, never quite knowing what you will find around the next corner. Visit the Grand Masters palace, once a summer residence for Mussolini. This was the main fortress of the Knights of St John and its grand presence reflects their power and ambitions. The West side of the Island is less accessible and rocky though Ancient Kamiros is worth a visit. It is situated on a slope over looking the seas and you can see the remains of the agora ( market - place ) temples and walls. The hilly and wooded interior of Rhodes is well worth investigating in a hire car, by coach or jeep safari, there are unspoiled villages, castles and chapels in abundance. · Acopolis Of Rhodes - The Acropolis of Rhodes is located just 3 kilometres outside the city on its highest spot and dates back to 300 BC. It’s been partially reconstructed and is one of the most photographed spots in Rhodes. · Valley of the Butterflies - Home to thousands of butterflies from June to September. Situated in the midst of two hills, splendid with greenery and separated by a small brook. 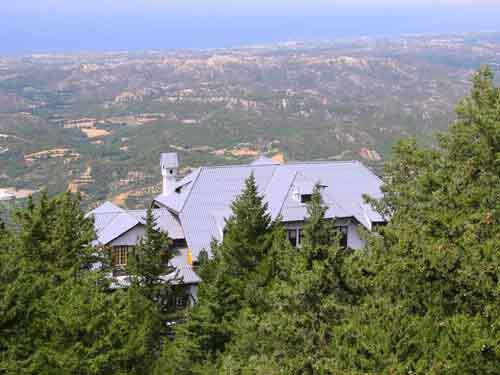 · Profitis Ilias - Alpine wooded forest with recently renovated Swiss style lodges. Cool and alpine like at an altitude of 2600ft, a brief visit restores body and soul! · Sianna - known as the village where time stood still, here you can buy home made honey and locally produced Suma ( Fire water perfect present for the neighbour back home! · Prassonissi - where the two seas meet, west side washed by the Aegean and South side washed by the med. One of only three places in the world where you can paddle in two seas! · Lindos - the jewel of Rhodes. Perched on a hillside above a brillant blue sea. Apart from the main square there is no modern transport so everyone hops on donkeys. Visit the Ancient temple of Athena, then a much deserved swim in St Pauls bay followed by lunch in one of many roof top gardens makes Lindos the perfect day out. · Seven Springs - Seven springs’ is a natural delight enhanced by the Italians during their occupation of the island back in the first half of the 20th century. There are seven springs, some underground and one, which the Italians built a tunnel around. You can follow the spring over the top of the tunnel, but a more exciting way is to walk through it. It takes about 10 minutes to walk the length of it. Its pitch black and the tunnel is just high and wide enough for you to wade through the cool spring water that covers your feet. As you emerge at the other end you are welcomed by sunlight filtering through the trees and a small lake, which the springs flow into. It is an area of outstanding natural beauty. · Faliraki - Certainly comes alive when the sun goes down! It's the fun capital of the island. Energies can be revitalized on the sandy beach before a night out spent in the buzzing bars and discos. 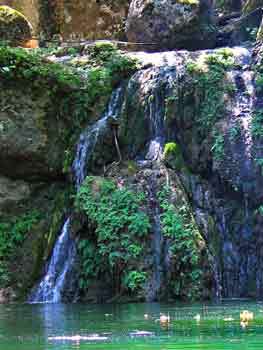 · Kalithea Spa - Built in 1920 by the Italians then famous for its natural medical springs. Now recently renovated its worth seeing. From the beach you will see the scuba divers who come everyday with their diving schools. So, now you know all the highlights of Rhodes, the ones that will make your holiday a memorable one that everyone will envy you for on your return home.